I can't believe this past Monday marked six months with this little peanut! I am definitely starting to feel pregnant, my back is constantly sore, my heart races at odd times, and I often find I'm short of breath. I have a feeling the next three months will feel the longest but I'm so thankful and ready to take on all the pains and uncomfy's in order to meet this little one! 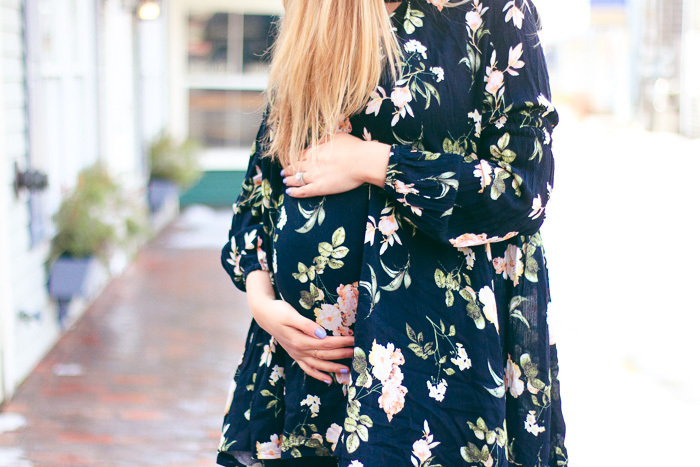 I've mentioned it before but I am trying hard to not buy too many "maternity" clothes. I know at some point it will be inevitable but so far I've only invested in maternity jeans and leggings. As far as tops, sweaters, dress, etc. I've just been sizing up and so far, it's been working flawlessly. 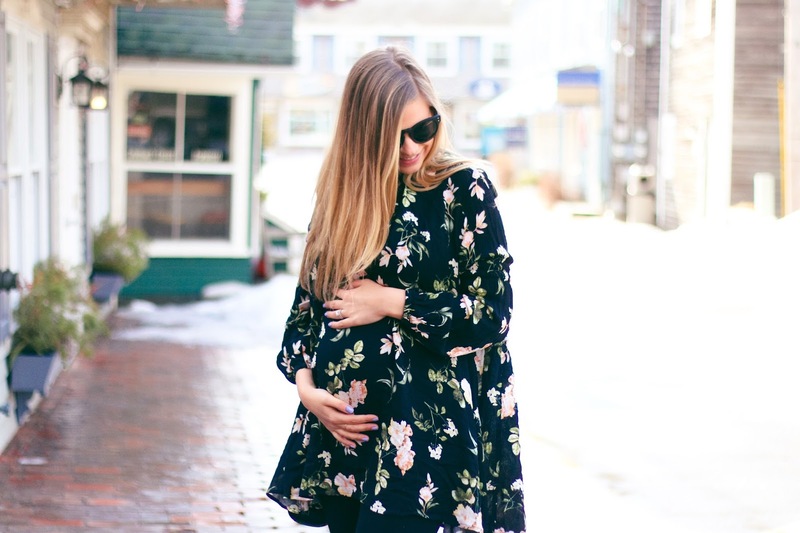 This tunic top I actually purchased in my regular size (a medium) and it's perfect for the bump. I'm much more comfortable in leggings these days so wearing tunic style tops is high on my list and this one does not disappoint. I love the colors of the flowers and how flowy it is plus the cut out neckline is perfec feminine touch while fully covered up. 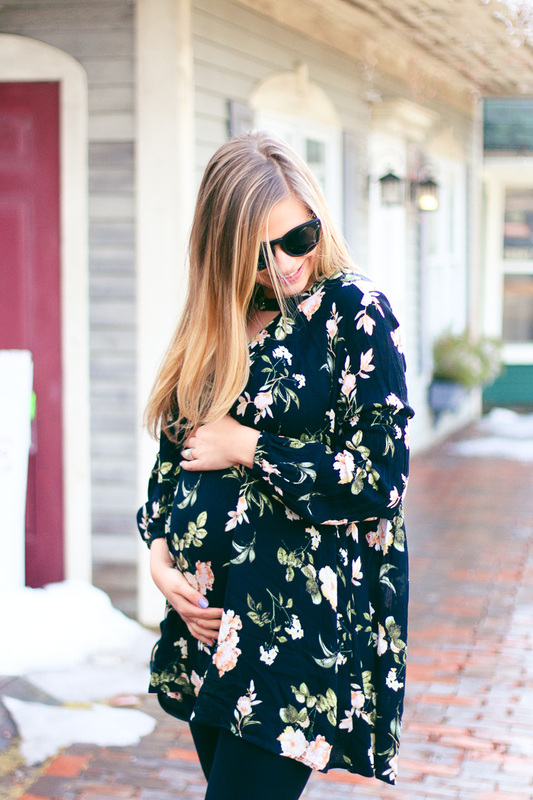 I'm working on my second trimester must have's (check out the first trimester here!) and will have that post up sometime next week so if you're newly pregnant make sure to check back! So cute! 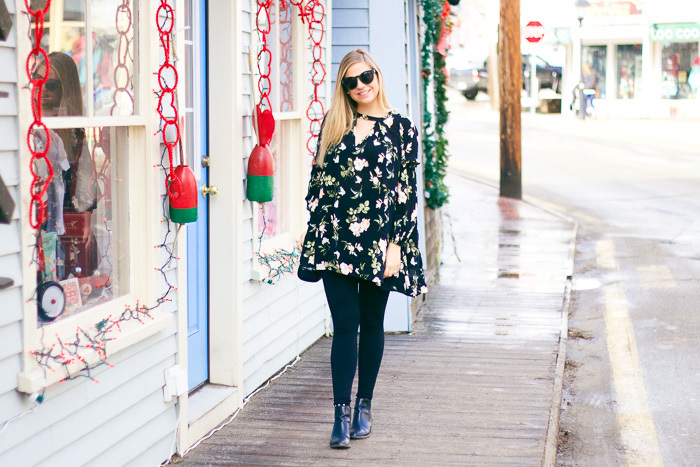 And I love that tunic! Yay for 6 months - the countdown is on!